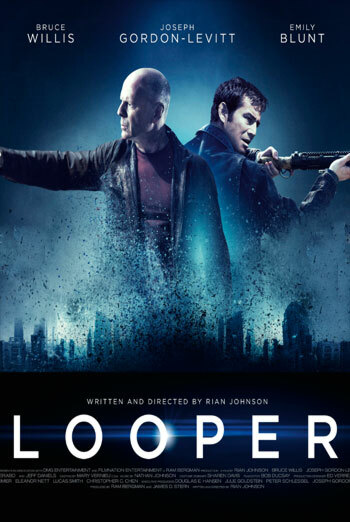 LOOPER is a sci-fi action thriller set in the future about a hit man who finds out that his next hit is himself. He must team up with his future self to change the course of history. There are several scenes of strong bloody violence, including occasional sight of blood splashes when victims are shot down. One scene shows a man being repeatedly shot in slow motion from many angles. There is implied use of an imaginary drug, which is applied in the form of eye drops, and two very brief images of a syringe suggesting that the man's drug use has escalated.